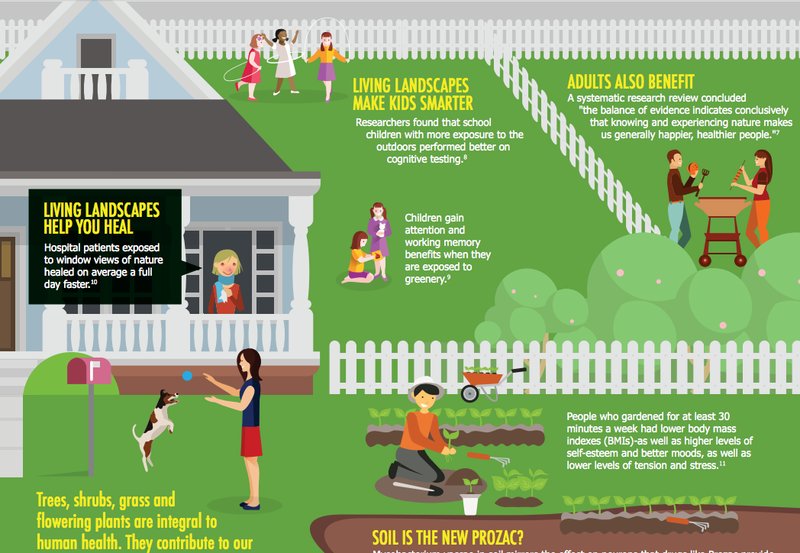 April is National Lawn Care Month and as an official partner, the Outdoor Power Equipment Institute (OPEI) is celebrating our living landscapes since they play a vital role in the health of our environment, our communities, and our families. Lawns and yards, parks, and landscapes around commercial and municipal buildings provide many health, wellness and environmental benefits. You just need to choose the right kinds of trees, shrubs, grasses and flowering plants. 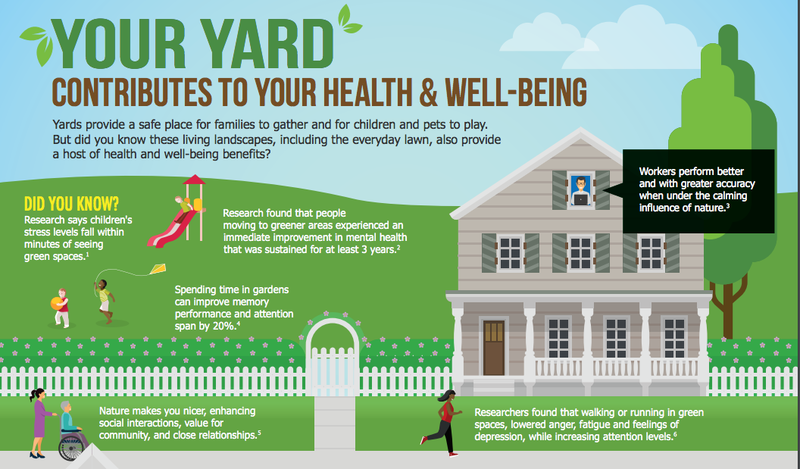 Lawns can make you happier! Our stress levels fall within minutes of seeing green spaces. Knowing and experiencing nature makes us generally happier, healthier people. Getting dirty is good for you! Mycobacterium vaccae in soil mirrors the effect on neurons that Prozac provides. Give kids a pair of gardening gloves and have them work with you in your green spaces for a hefty dose of Vitamin N(ature) and G(reen).